There’s an old adage or admonition that contends, “Figures don’t lie, but liars figure.” What does that mean either metaphorically speaking or as perceived words of wisdom? As we consider how to relate with those words of warning either as a measuring stick or a code of ethics, we ought to look no further than the medical sciences, pharmacology, and vaccinology, in particular. Sadly, the prevailing concept in the minds of government healthcare agencies is that the medical genre is infallible in its self-generated science, research, statistics, demographics, and advertisements. The flip side of that almost century-old dogma is that such a myopic scientific credo apparently is leading to or creating a Malthusian-like health crisis. In other words, a tipping point or crisis that devastates not only human health globally, but also the very industries that are paving the road to hell with health mandates and ever-present fraudulent science, which federal health agencies cannot rein in, but should. Here’s an excellent example: 21 medical studies claiming benefits of Vioxx and Celebrex were fabricated by former chief of acute pain, Dr. Scott S. Rueben, at the Baystate Medical Center in Springfield, Massachusetts. Ironically, the studies were published in medical journals between 1996 and 2008. Other pain drugs involved included Bextra and Lyrica. The New York Times Business section online October 17, 2008 stated, “Pfizer to Settle Claims Over Bextra and Celebrex.”  Pfizer paid $894 million to settle claims regarding Bextra, which was withdrawn from the market, as well as Celebrex, which still is available. Stevenson tells of hilarious sting operations set up to document scientific fraud that caught even the U.S. Department of Health and Human Services plus other medical players thereby revealing “an utter lack of concern for the quality, safety, and efficacy of drugs and medical products by the agencies tasked with overseeing them.” That is the most egregious of all—the lack of concern by the very agencies tasked with overseeing quality, safety, and efficacy of drugs and medical products. However, there is another equally important criterion that should be included, but is not. It is the apparent lack of authenticity of statistical information disseminated by government health agencies, especially the U.S. CDC and FDA, in view of the propensity for scientific fraud. One fraud case that comes to mind is the swindle of over a million dollars from the U.S. Centers for Disease Control and Prevention by Danish researcher Poul Thorsen, who was engaged to disprove any links between vaccines and autism. Interestingly and with a touch of irony, Thorsen may have had inside help in getting fraudulent invoices signed by a laboratory section chief at the CDC. In 2011, Thorsen was indicted on the following charges: wire fraud, money laundering, and defrauding research institutions of grant money. One has to wonder why Thorsen ‘cut bait’ so to speak, rather than prove that autism is not caused by vaccines, as that research ought to have been key in establishing a scientific premise for Big Pharma’s vaccines. 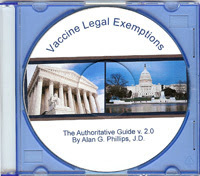 However, nothing can compare with the apparently deceptive practices of disseminating information about vaccines and vaccinations curing and/or preventing the spread of infectious diseases. Historically, nothing is less factual—and probably more deceitful—than information parents are bombarded with regarding childhood diseases, as the following information confirms. There was a 90% decline between 1850 and 1940 when mass inoculations first began, starting with diphtheria. Pertussis (whooping cough) inoculations began in early 1950s. Measles mass inoculations began in the late 1960s. No vaccine was available for scarlet fever. Deaths were plunging yearly from a little over 5,000 per one million children in the 1860s to 1,000 deaths per million children in 1940, even before the first mass inoculation program began in England and Wales. From 1868 to 1953, the death rate dropped by 98.5% before the introduction of the pertussis vaccine in 1953. Smallpox, the ‘poster child’ of the vaccine industry has a checkered past insofar as the disease actually was on a natural decline when mandatory vaccination laws were introduced in the mid 1860s. As a result, smallpox skyrocketed 275%, which caused citizens to revolt and mandatory vaccination for smallpox was repealed. Mass vaccinations against childhood infectious diseases were introduced around 1935. Tuberculosis (TB) decreased from about 195 deaths per 10,000 in 1900 to fewer than 5 per 10,000 in 1960. Note: There is no vaccine against TB in the USA. Deaths decreased from about 275 per 100,000 in 1855 to 110 in 1916 during World War I, to around 50 in 1935, to around 40 in 1945 when World War II ended and antibiotics were first introduced, to about 20 in 1953 when the BCG (Tuberculosis vaccine) was introduced. The above information confirms three specifics regarding vaccine propaganda: (1) Infectious diseases were declining naturally on their own long before the introduction of vaccines to ‘eliminate’ those diseases. (2) The very diseases for which populations were vaccinated against experienced increased morbidity rates after vaccination programs started. (3) Herd immunity, touted as the reason for vaccination programs, may be a medical and pharmacological anomaly, especially in view of increased morbidity rates after vaccination programs were initiated. It seems there may be health trade offs resulting from mandated vaccination programs. Chronic illnesses and/or terminal diseases are settling in, in lieu of normal infectious childhood diseases that over time evolved to provide life-long immunity to children. Coincidentally, those diseases were on a natural decline—probably due to sanitation and nutrition improvements—until recently when the push to implement herd immunity kicked in. Upticks in whooping cough and measles are occurring in fully vaccinated children. That’s something that has to be dealt with rationally and scientifically, and not blamed on non-vaccinated children. What that phenomenon most likely indicates is that herd immunity is not a valid concept, otherwise vaccinated children should not be contracting the very diseases for which they are vaccinated. 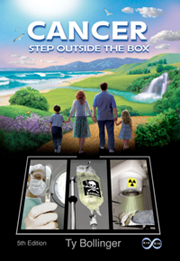 But there may be an even more sinister consequence lurking in vaccinology science, e.g., the inadvertent biological effects of multiple neurotoxins and other toxic materials used in the manufacture of vaccines. No studies have been performed to prove/disprove: 1) biochemical interactions, 2) carcinogenicity, or 3) teratogenicity [capability of producing fetal malformation 18]. The above-cited childhood cancer statistics certainly point to a need for such scientific investigation. Ten years ago, shocking new guidelines for pediatricians advised that girls who start to develop breasts and pubic hair at age six or seven are not necessarily “abnormal.” In fact, by age eight, 48 percent of African American girls and 15 percent of white girls are showing clear signs of puberty. 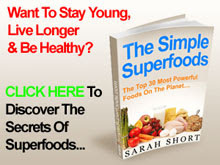 There now is definite confirmation that biochemical and physiological changes are occurring in children at much younger ages than before. Those changes occur from either environmental or other impacting factors such as chemicals, some of which are known to mimic hormones called endocrine disrupters. Such chemicals can be found in food, water, and daily environments. They are ubiquitous. However, what is not known is the chemical interactions between numerous chemicals, including those that are injected as vaccines into infants at birth and at 2, 4, 6 months of age and thereafter. 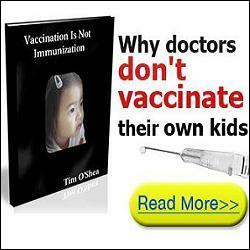 Since the push to vaccinate infants at earlier ages and more frequently with many-valent vaccines, one can only wonder what role vaccine chemicals play in early stages of puberty, childhood cancers, autism, and attention deficit syndromes since Big Pharma, the U.S. CDC and FDA, and Congress apparently are not concerned that truth be told. Be the first to comment on "Truth Be Told"